Not too long ago Barack Obama said he used to have ‘a little blow’ of weed every now and again, adding: ‘the last time I was high I was deciding my major’. 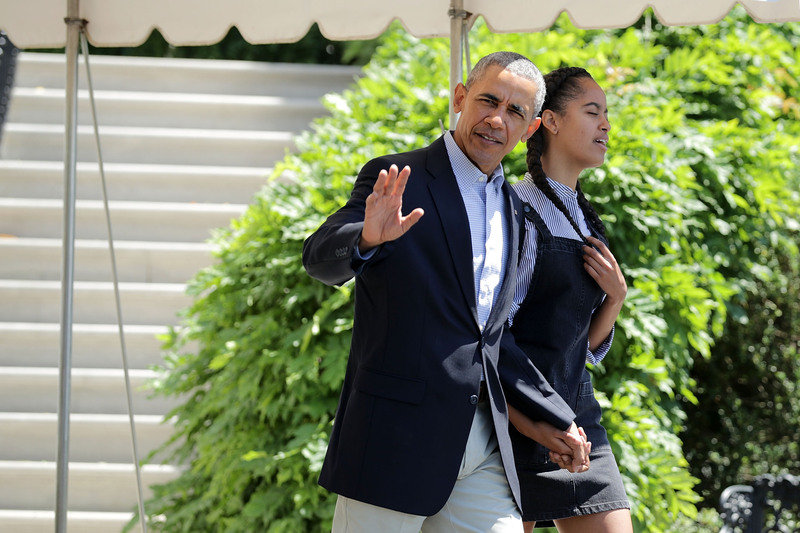 Obama’s daughter Malia has just turned 18 and judging from some videos of her at Lollapalooza, she’s got a bit of a taste for the weed too, reports Mic. For some bizarre reason the world went crazy when photos and videos of Malia twerking and toking went viral over the past couple days but at the end of the day, who cares? According to a tweet from White House journalist Kate Bennett, Obama thought it was only right that he took Malia for a little walk. Apparently Obama and co are on a 16-day break to Martha’s Vineyard but now the holiday might be a tad awkward after their little chat.